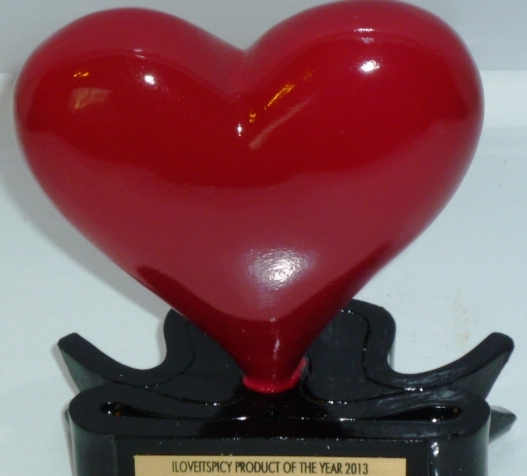 Lenny Awards – Best Spicy Products of 2016 – I Love It Spicy! Welcome to the 7th Annual Lenny Awards for the best new spicy products. Some of these awards are for the best products our review teams encountered and gave the highest ratings for. Most of them are from my encounters from fiery food events, purchased online or perhaps found along the way in many journeys to and fro. The Lenny Award is named after my Father who died of Cancer on this very day back in 2010. Rather than mourn his death, I am here to celebrate his life and how he would help total strangers in need just because he could. I am trying to do the same with the Lenny Award by giving something from my heart to an industry and community that I love. The Lenny is given to my favorite new products and there is no other factor involved in my choice. I don’t get a chance to try everything in due time, so some of these products might be older than 2016 when I first got a chance to try them. I have listed the names of the companies below the video that either received a Lenny Award or got an honorable mention. If you do not want to view that spoiler list, go watch the video and enjoy the moment there.